*Post includes affiliate links. Purchases made through these links go directly to supporting this blog. Thanks in advance if you decide to shop through my links. I have to admit that this year's holiday launches haven't been blowing my mind. Yes, there are some really nice products out this year - I am not saying they are all boring - but there really has only been a handful of products that have made it to my wishlist. 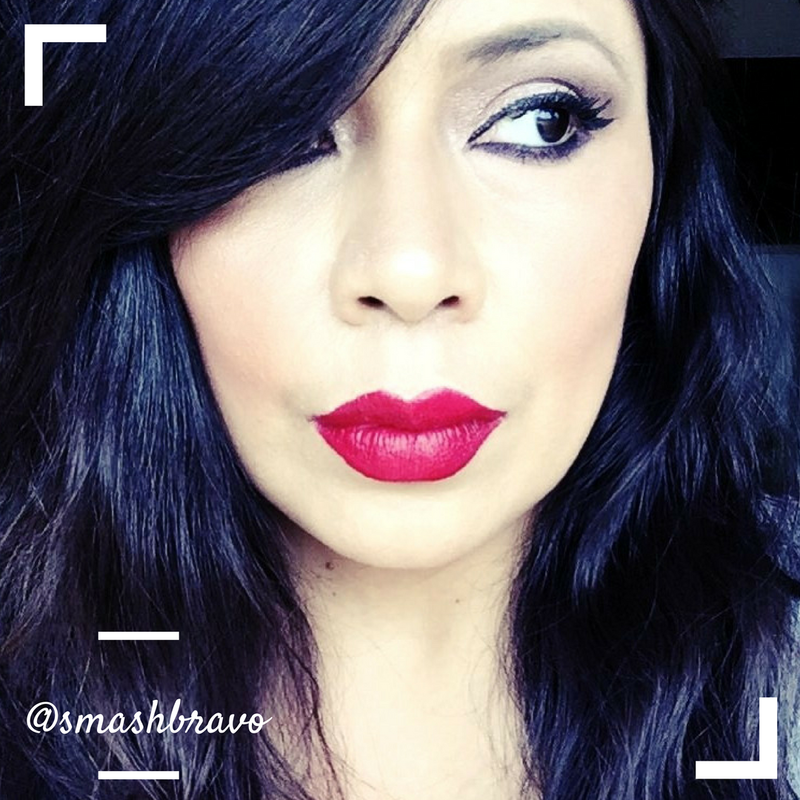 One of the products that did make it to my list was this Bobbi Brown Ultra-Violet Eyeshadow Palette which caught my eye from the minute I first laid eyes on it. I could not believe that it was coming from Bobbi Brown and that it was only $39 - and considering that my daughter got it for me during the Sephora Friends & Family Sale, we got it for even less. I didn't take a picture of the outside of the palette but it does have a very cool green and purple holographic finish. The palette is also super slim and compact which makes it perfect for travel or taking on-the-go. And, let's talk about the generous pan sizes, which have 2 grams of product versus something like a ColourPop or Mac single shadow which only have 1.5 grams. And of course the best part about the Bobbi Brown Ultra-Violet Eyeshadow Palette, the color story. 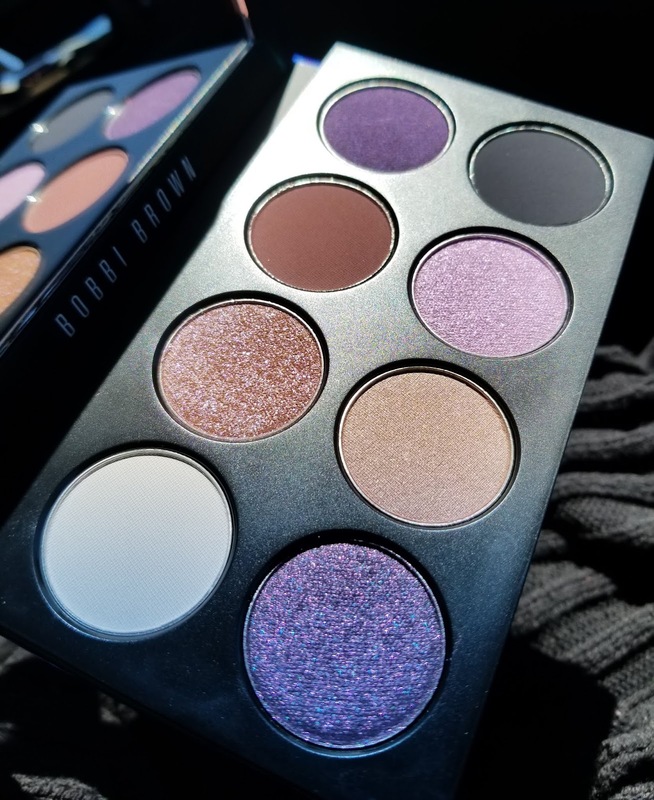 This palette offers a stunning spectrum of violets and lilacs—in matte and metallic finishes, including some of the prettiest shimmery shadows I have ever seen. I do love that they concentrated more on a cool purple color story and how beautifully all of these shades play with each other. One of the shades I was definitely more excited for is Higher Ground, which I think is a shade that pairs so perfectly with purples. Something else worth nothing about this palette is that it is all-inclusive: you have a light shade for setting your shadows or highlighting your brow bone, you have a really nice crease shade and you have a black for adding depth. I am not a huge stickler about eyeshadow palettes being complete since I don't usually set my primer and will probably never use White Noise, but I do think a lot of people will find it to be a plus. Here is a rundown of each shade and my thoughts on the ones I like most or that have stood out as I have used the palette. Strange Magic: shimmering violet with blue reflections - this is a beautiful shadow, more of a topper or for adding a wash of shimmer to your lids. This shade reminds me a lot of one of the shades in the new Tom Ford quad called Pretty Baby. Higher Ground: rich heather - this matte shade is not as pigmented as I had hoped but it's a solid performer and it's one of those shades that you find yourself reaching for a lot, either for use by itself or with another palette. Violet Hour: shimmering purple with multicolor reflections - this shadow is one of the butteriest, prettiest shadows I haver ever seen in my life. I tried to capture the amazing shimmery finish in these photos, it's so glorious! A favorite of mine in this palette fo sho. High Fidelity: shimmering dusty mauve - this is prettier in person that what the swatches show. It's probably not a stand-out in the palette but it's got it's own quiet magic. Twisted Violet: sparkling lilac with opalescent blue reflections - a beautiful shadow and almost a dupe for BEAM in the Lime Crime Venus III which I reviewed HERE. Here are some closeups so you can really see each shade in all of its glory, just check those shimmer/metallics. Are they gorgeous or what? I find this palette to be pretty fantastic. I have really enjoyed using it and each time I do I can't wait to use it again so that I can dip into Violet Hour or Strange Magic, which are both definite standouts for me. I can't wait to see if there will be more palettes like this from Bobbi Brown and am stoked to finally own a palette from the range. Before this I only had a trio and had been waiting for a really long time to get a true Bobbi Brown palette. I am toying with the idea of a year-long no-buy and with that in mind I have been carefully curating my new purchases to include products I know I can enjoy for the long-run. I think this palette has wonderfully covered all of my purple needs, not that I don't already own other purples, but this will definitely be the purple star of my collection. 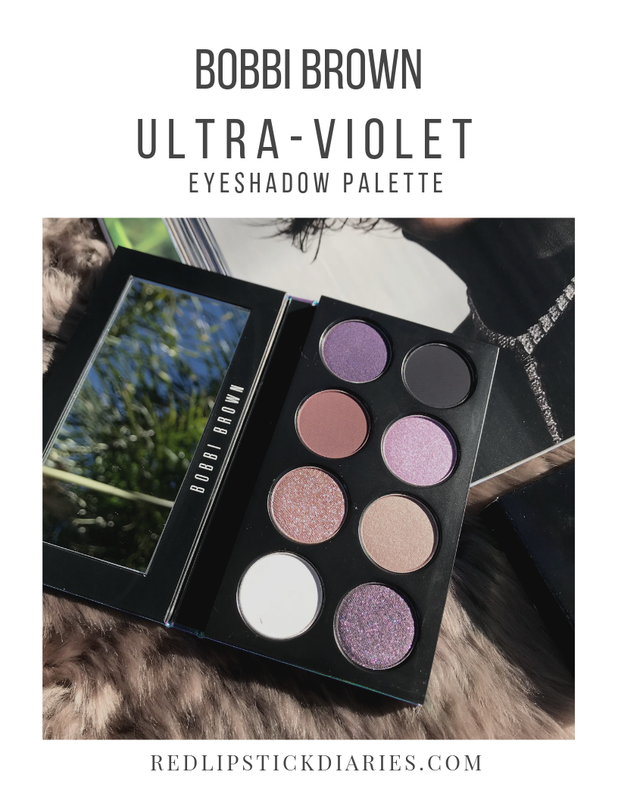 The Bobbi Brown Ultra-Violet Eyeshadow Palette is a Sephora exclusive and is marked as Limited Edition. If this is your kind of color scheme, I suggest giving it a look-see at your local store to see if it's something you need in your life, or not.